This LED Dimmer/RGB Controller can be used as a 3 channels LED single color strip light dimmer a LED RGB module / Flexible LED Strips as a static color controller. 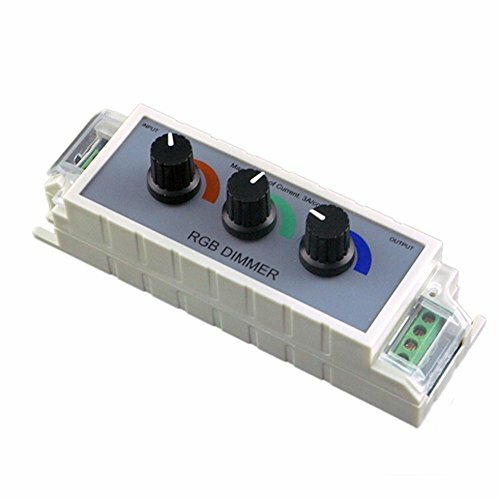 Universal Red/Green/Blue(RGB) dimmer-konbs can be used to adjust Red, Green and Blue from 0 to 100 percent for full range color creation. Endless RGB color combinations. down connectors, which makes 100% secure connections. -For RGB LED strip controlling and dimming each color independently.